This Evening on the outskirts of Niew Haarlem infantrymen uncovered a secret arms cache owned by members of The Revolutionary Metzist Insurgent Army (RMIA), an organization dedicated to the seizure of the means of production, the abolition of the current regime, and the establishment of a Metzist state in New Verham. among the arms located on the outskirts of town was a series of documents detailing a covert attempt to overthrow the government of New Verham by infiltrating the ranks of rioters responsible for the chaos that has consumed the nation. The President of New Verham has authorized a full-scale ban of The Socialist Party along with other mass rallies of subversive nature. this morning New Verham witnessed the end of an era as President Verduin was executed by the armed forces for crimes against the people of New Verham which among other things includes embezzlement of government funds, the usage of intimidation in order to maintain a monopoly on power at the expense of political opposition, and the inflammation of ethnic hatred among the races. Verduin was survived by his wife and five children who are currently being held in detention until further notice. 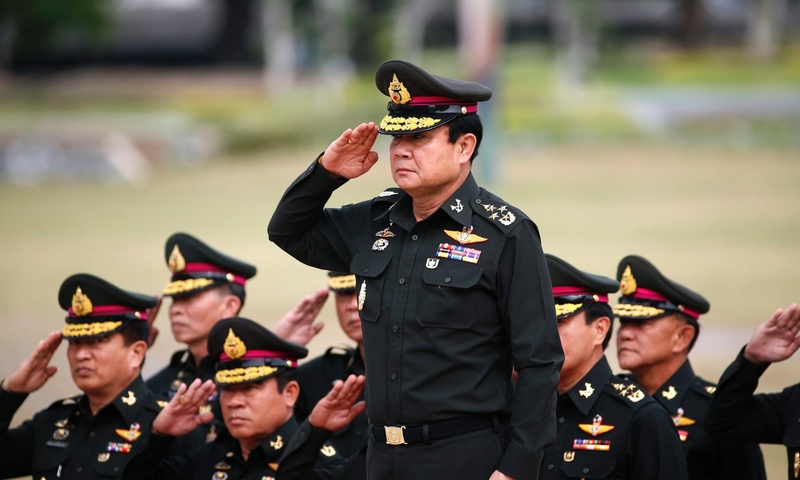 The Military High Command has issued a statement announcing the disbandment of Parliament and the establishment of a provisional government under the steady hand of Field Marshal Prakoso. All Political Parties are hereby ordered to swear an oath of loyalty to the new regime and cease their opposition wherever present or be placed in the custody of the state for an indefinite period of time. Riots have been suppressed and those responsible for theft and destruction of private property shall be arrested and fined 10,000 for damages inflicted upon the owner of said property. Following months of consideration by the nine most powerful judges in the country, the case of sixty-four-year-old convicted mass murderer Kiwa Huayta has been decided by the Supreme Court of New Verham with a 7-2 verdict in his favour. The unexpected decision is based on the argument of Huayta's post-conviction lawyers that the techniques utilised by police when interviewing him are invalid because they do not meet the current standards outlined in legislation. As a consequence, the Supreme Court ordered that Huayta be given a re-trial on the basis that the jury in the case was presented with almost no other evidence of his guilt besides an audio tape in which he admits to killing his ex-wife and her new family. Significantly, though, the Supreme Court also declared that all confessions based on the so-called "Tin Troika" method are invalid under current regulations governing the actions of law enforcement officials. It is estimated that this could lead to over six hundred prisoners being granted new trials across the country. President Geert-Jan Kwappert has reacted with anger to the verdict of the Court, telling reporters "the Supreme Court has made a profoundly dangerous decision by prioritising a 'to-the-word' interpretation of legislation over the principle of justice". The case of Kiwa Huayta has been the subject of much public interest over the past few years after documentary filmmakers Adachi Kata and Felix Sakkers revisited it in their massively popular series Catching a Killer. Throughout the series the filmmakers analyse various pieces of evidence which appear to suggest that Huayta did not commit the crimes for which he is serving a life sentence. As well as being subjected to potentially exploitative interrogation techniques, his defence lawyers were prevented from accessing certain pieces of evidence they argue would have exonerated him. The former leaders of Vanuku have re-emerged in the Kingdom's ex-colony New Verham after several years off the radar. Brothers Eskandr and Danil Salyzr who founded the New Royal Front (SKS) after carrying out a military-backed coup, disappeared after control of the party was wrestled from them by the Zhtál dynasty. Despite a lengthy manhunt it now appears the two fled the country and after months moving from location to location have re-appeared in the central Dovani nation. The two have established a foothold and are expanding their business interests in New Verham centred on a heavily fortified mansion complex around 15 miles north of the capital Niew Haarlem. A local villager, who did not want to be named, said - the chateau is owned by the Salyzr family based on its considerable colonial period interests here. The brothers are in there and seem to have a small private army around them. It is pretty clear they have done a deal with the Republican government and President Geert-Jan Kwappert. I'm not sure what their business interests are but it is obvious they have influence and wealth. The place up the road is being turned into their own private fiefdom."